Hey folks. 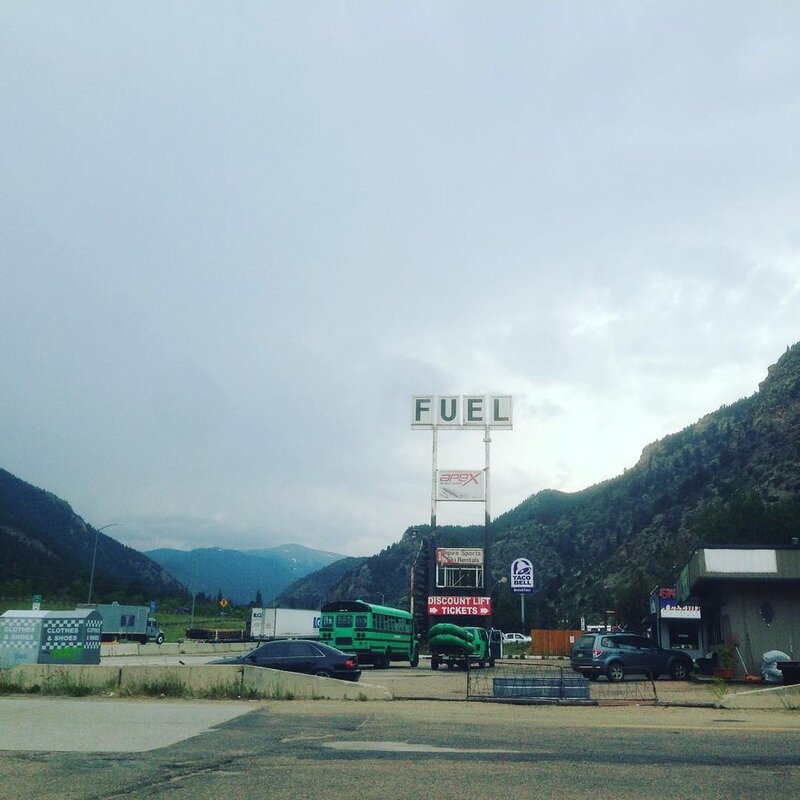 I’m writing this post as we drive through the rockies and man is it absolutely beautiful. I haven’t spent much time in this part of the country, and it’s crazy how small you feel while hiking on a mountain trail or even just driving through them. The temperature has dropped and our van is nice and quiet. I can’t believe this is just another highway to people who live around here. Shows in Colorado have been spectacular. Our first night in the state, we played at a spot called Triple Nickel Tavern in Colorado Springs. We played with Mobdividual- a solo act based out of the area who produced walls of sounds. His music kind of reminded me of a more ambient version of Explosions in the Sky. Modern Color, a band from California, tore it up as well. We had our first bout of good-samaritan situations while we were leaving the gig. We had planned on crashing in a Walmart parking lot and a gal who made light conversation with us, who didn’t even catch our set, saw that we were loading up gear into the van and offered us her backyard to crash in. Erin, wherever you are right now in Colorado Springs- THANK YOU for making our night. We ate at a really delicious spot in the morning called La Baguette that had incredible day-old croissants and insanely good omelettes. It was the first hot meal we had had this tour, so it was especially good. Denver was super fun. We played at Seventh Circle Brewing, which is a little DIY spot that you wouldn’t notice if you were just driving by. The front is un-assuming and small looking, but when you walk into the little house and go down some stairs it opens up into this larger back warehouse space with a chill patio. We played with Sinister Pig, a badass anarchist band out of Fort Collins, Married a Dead Man, a pseudo goth heavy band out of Denver, and Great American- femme fronted indie-punk rock also from Denver. We stayed in Denver with friends and went out with old friends to a vegan restaurant. One of our buds, Jessica, works at the art museum, so we got tickets to see the modern art exhibit which was a treat. After that we drove to Fort Collins and our friend Dave from Sinister Pig’s partner, Maria made MORE delicious vegan food. Maria was super kind and told me about her journey with being a vegan. It’s cool to hear about how people make big life choices, and kind of empowering. The show in Fort Collins was at an anarchist 4th of July party—— someone’s American flag shirt was burned in a fire pit, music was made, and fun was had. Sinister Pig and Married a Dead Man played again, as well as Plasma Canvas. Today we head to Grand Junction. Today will be our 7th show in a row. We have 3 more shows before we have some time off to camp in the Grand Canyon. Hope all of you are having lovely days.